In order to produce tight, deep bass, a loudspeaker has to move lots of air. EUROLIVE Professional Series loudspeakers accomplish this by using powerful, long-excursion LF (Low Frequency) drivers that are handmade in our own factory. While some companies are content to use "off-the-shelf" drivers, we custom-design each LF driver to perfectly match its enclosure and application. The B1800X PRO features a powerful 18" long-excursion LF driver in a tuned enclosure, providing rich, tight bass all the way down to 40 Hz. That's extraordinarily deep bass that will shake the house right down to its foundation. We could talk on and on about the EUROLIVE Professional Series loudspeakers, but hearing is believing. Stop by your BEHRINGER dealer's showroom today and put the B1800X PRO to the test. 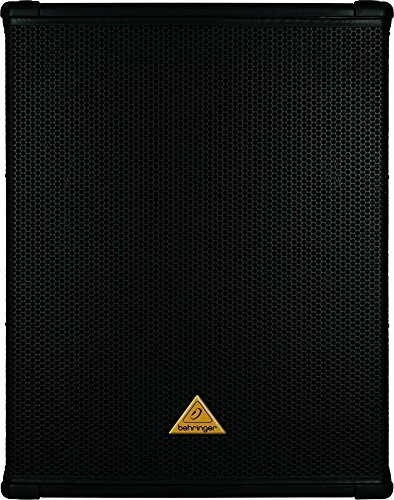 We think you'll be hard pressed to find a better sounding subwoofer for anywhere near this price!